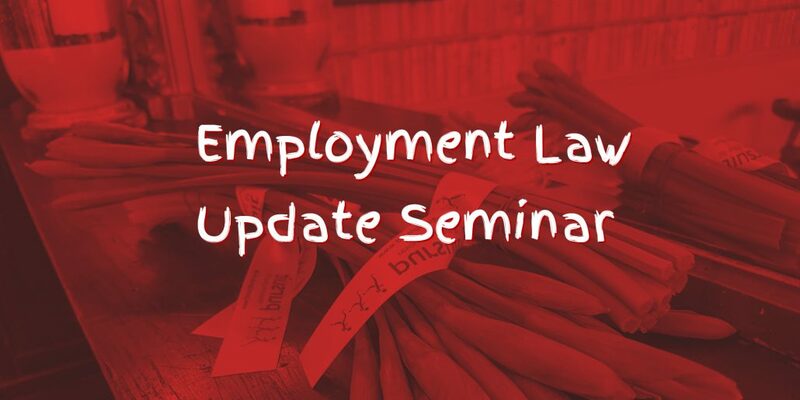 You are here: Home / News / Employment Law / Our Employment Law Update Seminar was a Success! This week has been a busy one for us here at Pursuit! Not only did we welcome another new trainee consultant we also held our big Employment Law Update Seminar with Cas Carrington. As always, The Lion Inn were great hosts and the layout of the room worked perfectly for the Seminar. Cas Carrington delivered, as always, an insightful seminar to our clients with recent updates and case studies around Employment Law and Contract Law. As the lead tutor for the Law on Tour events, our seminar’s are extremely popular with HR professionals in the area. Not only do we offer them to our clients free of charge, we also hold them regularly to keep our clients up to date on the changes to the law as part of their CPD. All our seminars and workshops can be certified for your CPD hours if required. We had a professional photographer at the event so we look forward to sharing some of the pictures with you in the next few weeks! Thank you to all our guest for helping us raise money for our Charity of the year – The Friends of Edith Borthwick who raise vital funds for the Edith Borthwick School and it’s pupils in Braintree. We raised nearly £100 for the charity through a raffle on the day which will help towards our target! As we welcomed in Spring this week we also thought it would be nice to deliver daffodils to all our guests to help get them into the Spring mood! You can’t go wrong with a bunch of flowers! We will be announcing the dates of our forth coming Employment Law Workshops and Seminars soon!